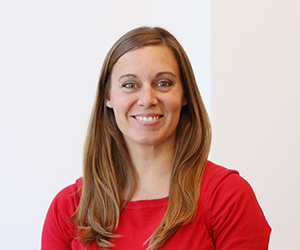 About: Amanda Bright teaches classes in multiplatform journalism and projects, as well as graphics. She also serves as the managing editor for the Grady Newsource digital presence. Dr. Bright’s research focuses on digital journalism along with post-secondary curriculum and instruction. Her dissertation, “Adaptation of Journalism Curricula in the Age of Digital Media: A Qualitative Multiple Case Study of Small Programs,” identified both roadblocks and possible action steps for college journalism programs to pivot to digital within their curricular frameworks. Her other research interest is digital storytelling and platforms, particularly as they continue to evolve how news is both crafted and delivered. Dr. Bright’s primary teaching interests are design thinking within the context of journalistic products, emerging digital tools for storytelling, along with web development and design for news media. She enjoys juxtaposing the essential ideals of journalism’s role in society with pragmatic training for journalists through new tools, techniques and strategies. Prior to joining the Grady College, Dr. Bright spent 15 years in print and online journalism as a reporter, photographer, copy editor/designer, page one editor and news editor. She also spent 10 years teaching journalism and advising high school newspapers and yearbooks, as well as speaking and writing about trends in journalism education. At Eastern Illinois University, Bright taught news writing and design, advised the Warbler yearbook, and taught online courses for journalism advisers. Recently, she was media content coordinator for Indiana State Online, website co-administrator and social media director for the Illinois Journalism Education Association, and education editor for MediaShift. Dr. Bright was selected as part of the inaugural class of the PhDigital Bootcamp through the Knight Foundation and Texas State University (2018) and was inducted as a Kopenhaver Center Fellow (2017) through the Lillian Lodge Kopenhaver Center for the Advancement of Women in Communication at Florida International University. She was the adjunct faculty winner of the Teaching News Terrifically in the 21st Century competition with AEJMC’s Newspaper & Online News Division (2017) and named as a Master Journalism Educator by the Journalism Education Association (2016). Northwestern University honored Dr. Bright as one of seven Distinguished Secondary Teachers (2012), after she was nominated by a former journalism student.